A native of Hollandale Mississippi and educated in the Buffalo Public School System. He graduated from Medaille College, Buffalo, NY in 1993 with a Bachelor of Science Degree in Criminal Justice. Mr. Perry has dedicated his life to improving the quality of life for Men, Young People and the community as a whole. He has been employed or actively involved on boards / programs that addresses issues and problems that affect members of the community . His employment record is diverse , comprehensive and always focused on ways to improve the status of those in need. He was employed by the Buffalo Board of Education for 20 years, Jim Ball Buick, GMC Cadillac where he worked as a Sales Consultant and presently at Aspire Of WNY for the past 26 years as a Rehabilitation Specialist . He's a Past President of the Great Lakes Baptist Association, Young People 's Department; Past Vice President at Large of Empire Baptist Missionary Baptist Convention Young People's Department; Immediate Past President of the Great Lakes Baptist Association Laymen's Ministry. Presently he and his wife are Facilitators for the National Baptist Convention USA Inc. Laymen's Movement , where they facilitate Marriage Seminars. 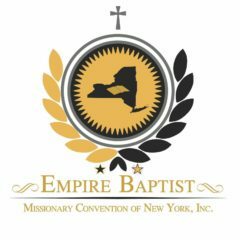 He also serves on the National Baptist Convention Laymen 's Movement Prison Ministry and presently serves as President of the Empire Baptist Missionary Convention Laymen's Auxiliary representing men across New York State. He's the proud Husband of Lynn R. Jackson Perry for the past 15 years and the God Father of Brea Martin.